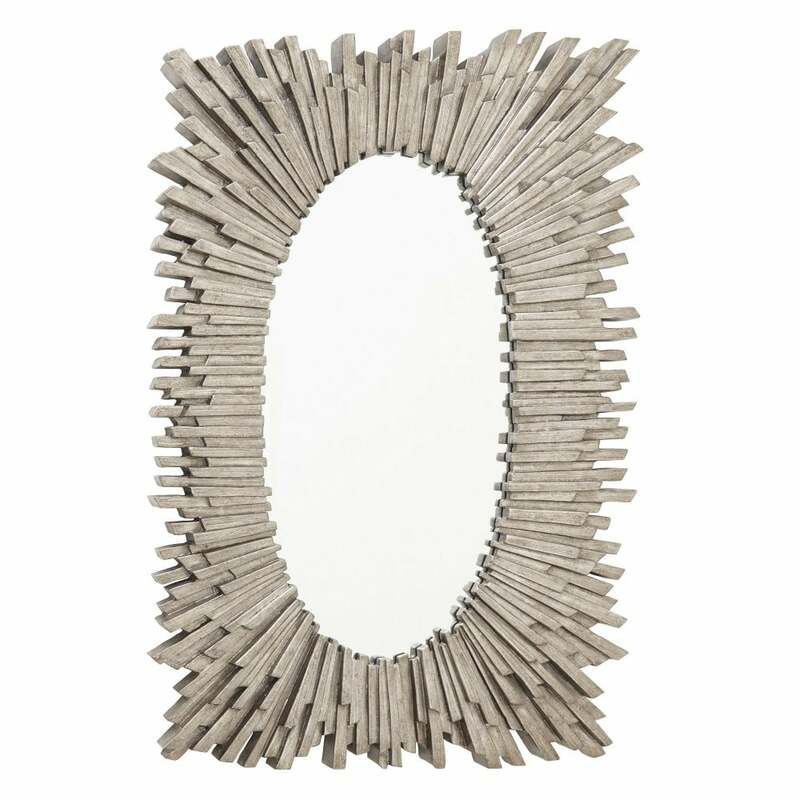 A sunburst design finished with distressed, antique silver leaf, the Aledo Mirror by RV Astley will create a striking focal point in any interior scheme. Hand-finished by skilled craftsman, the unique frame presents a contemporary take on a classic sunburst shape. A distinctly art deco silhouette, style with accents from the era such as statement wallpaper, dark wood and geometric lines. Inspired by the luxurious décor found in boutique hotels, this beautiful mirror will add a touch of glamour to a hallway or above a fireplace. Get in touch with our team for more information and advice.